Investors in global chipmakers have had a rocky ride in the last few months on worries about a slowing smartphone market, but a clamor for more video content from consumers is underpinning buoyant sales for memory-chip makers. A case in point is last week's quarterly report from Apple. The Cupertino, California-based company said the iPhone X was the most popular iPhone model in the March quarter - the first cycle ever where the costliest iPhone was also the most sought after. More upbeat assessments from Samsung Electronics, Qualcomm, and Franco-Italian company STMicroelectronics, have also eased concerns. Samsung last month forecast strong sales for "high-density" chips that have more processing power and bigger storage capacity - demand that will help it weather a decline in overall smartphone shipments as consumers are willing to pay for costlier and faster models that allow them to easily watch and store large amounts of video. "Even as the number of smartphone shipments slow down, each smartphone will contain memory chips with bigger capacity and better performance, which, for memory chip makers, makes up for a slowdown in the number of total smartphones," said Kim Rok-ho, an analyst at Hana Financial Investment. That puts into perspective a warning by Taiwan Semiconductor Manufacturing of softer smartphone sales, which was partly responsible for the recent sell-off in Apple and other chipmakers. The Philadelphia Semiconductor Index, a proxy for global chipmakers that fell sharply from its peak in mid-March on initial iPhone sales concerns, has stabilized in the past two weeks, posting a 4.4 per cent rise so far this year. The US$122 billion memory chip industry enjoyed an unprecedented boom since mid-2016, expanding nearly 70 per cent in 2017 alone, thanks to robust growth of smartphones and cloud services that require more powerful chips that can store loads of data. 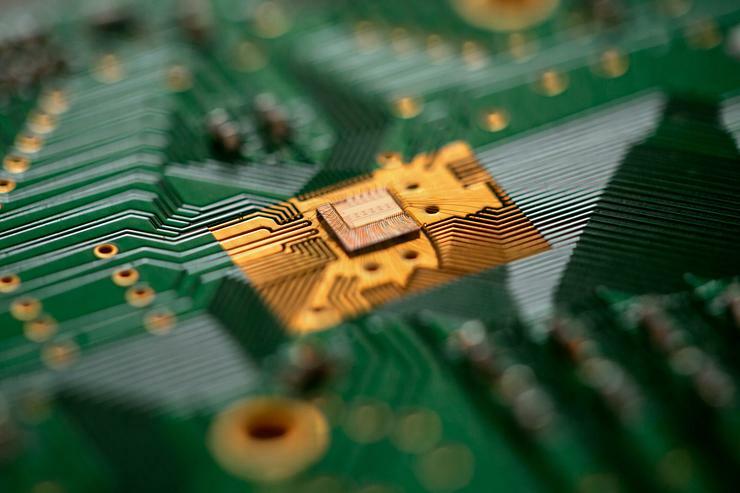 The pace of growth is set to more than halve as memory-chip prices come off their highs, but the outlook remains strong for pure-play memory chipmakers such as Micron Technology and SK Hynix. Micron's shares have risen 18 percent this year and Hynix's stock has gained 8.5 per cent. Revenue at Micron, for instance, has grown at an average rate of about 65 per cent in the two quarters it has reported this year, and analysts expect it to grow at an average of 30 per cent for the rest of the year, according to Thomson Reuters I/B/E/S. Other chipmakers like Advanced Micro Devices and Texas Instruments, which are less leveraged to the smartphone market, including those that sell to carmakers, industrial, bitcoin, and gaming companies are well set up too. Global smartphone shipments fell two per cent in the first quarter, following a nine per cent drop in the fourth quarter, according to market research firm Strategy Analytics. Qualcomm, whose Snapdragon processors power many popular smartphone models, recently showed just how far it is willing to go to hedge against a slowdown after revenue from its key licensing business slumped 44 per cent in the latest quarter. The company, which charges a fee for its chip patents based on a percentage of the selling price of a smartphone, said it would cap the phone price used to calculate that fee at US$400. More expensive phones, which can sell for US$1,000, would still be treated as US$400 for the purpose of the Qualcomm license fee. TSMC, whose fortunes are more closely tied with the broader smartphone industry as it is the world's largest contract chipmaker, felt the slowdown more acutely in the latest quarter. Qualcomm and TSMC stocks are down 21 per cent and 2.6 per cent respectively so far this year. "The spending cycle (by chipmakers for investment) is continuing, but there may still be volatility similar to the correction in 2015," Tammy Qiu, an analyst at Berenberg said in a note to clients.